As part of the first ever ‘Christmas in Carlow’ event, Carlow County Development Partnership is hosting an amateur photographic competition for all amateur photographers across the county. The theme of the competition is ‘Movement in Carlow’ and photographers are being asked to submit one photograph each with this theme before Monday November 25, 2013. The competition comprises of two categories, over and under 18. With a cash prize of €200 for each category which is kindly being sponsored by Bagenalstown and Carlow Credit Unions, plus an hour’s free tuition with David Andrew Photographer for each winner, this is a wonderful opportunity for budding photographers out there. Entry is free and in addition, the top 10 photographs will be framed and exhibited in the George Bernard Shaw Room in Carlow Library for a week before Christmas. Entries must include the following information: Name; Address; Age; and a description of the image (in no more than 30 words). One image per entrant and only entries received to the above e-mail address will be considered. Entries that do not include the requested detail will not be considered. If you or your clients/members would like to enter, photographs can be sent to info@carlowdevelopment.ie by this Monday, November 25th. Lynda Booth, founder of the award-winning Dublin Cookery School*, has realised a long-held dream with the launch of her first book titled ‘From Lynda’s Table’. This beautiful presentation of over 140 recipes is full of Lynda’s culinary memories and depicts her personal journey through food spanning nearly two decades. She joined with friend and fashion designer Liz Quin and photographer Joanne Conway to style the food photography, resulting in a fresh looking cookery book where the food literally leaps off the page. Lynda’s dedication, drive and enthusiasm for food has seen her travel and work with some of the world’s best restaurateurs and chefs, from the Four Seasons in Canada to the acclaimed Relais Chateaux Hotels in Italy. Her bold approach to Raymond Blanc landed her a job as pastry chef at his Michelin two starred restaurant “Le Manoir aux Quat’Saisons” in Oxford. Lynda includes in the book the delicious ‘Robert de Niro’s Chocolate Hazlenut Cake’ she created for the actor’s birthday celebrations in Vancouver where he was joined by fellow Oscar-winner Sean Penn. Lynda is a teacher at heart and is always bringing new ideas and ingredients to the school and to her new book that will stretch the cook’s repertoire. Suitable for beginners and experienced cooks, ‘From Lynda’s Table’ challenges the reader to try new things and is a ‘must have’ for every kitchen. “My book is aimed at the type of adventurous spirit who loves to keep learning and extending their skills. It gives an understanding of technique and a confidence in using a whole array of ingredients. My hope is that when you open the fridge door, you will be flooded by new possibility. I have put my heart and soul, as well as my best recipes, into this book” said Lynda Booth. The book’s contents are devised into five easy-to-follow themes all with Lynda’s unique explanation of her inspiration. The engagingly written stories give a fascinating background to Lynda’s approach to cooking. Beginning with ‘Foundations’, a fresh take on important basics (from breads to salads, stocks and pastry), Lynda takes the home cook on a journey inspired by her travels and food heroes. ‘Going West’ sees Lynda’s range of recipes inspired by holidays in the West of Ireland and features lobster, pizzas, barbeques and dishes to ‘feed a mob’. ‘Branching Out’ challenges the reader to try new things and push the boat out with ingredients such as quinoa, spelt and saffron as well as the opportunity to explore the versatility of sauces. In ‘Going East’ Lynda presents an array of dishes inspired by world-cuisine from Thailand and India. She has hosted classes by David Thompson and Atul Kochhar, leading chefs in Thai and Indian cuisine. 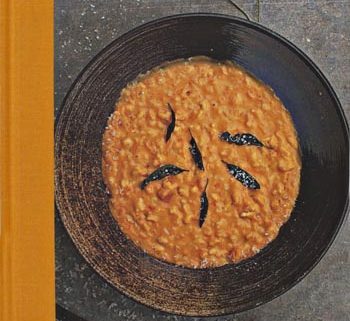 In the book she draws not just on their recipes but on their tips and wisdom to get to the heart of their cooking style. The book concludes with ‘Sweet Endings’ where Lynda, showing her passion for desserts, features a selection of mouth-watering recipes and techniques. Watch out for her show-stopping passion fruit brulée tart! A must-have for all passionate cooks, ‘From Lynda’s Table’ (DCS Publishing) is available now priced €24.99 from all good book stores and signed copies from www.dublincookeryschool.ie. Chef Brian McDermott, The No Salt Chef, has launched an exclusive new range of Kitchenware in collaboration with Moville Pottery. The No Salt Chef from Moville, Inishowen teamed up with the successful local pottery studio to create a special collection of useable and practical kitchenware ideal for everyday use. The new range was officially launched at a special evening in the Moville Pottery Centre on Friday, November 15th. Founded in 1976 by Lowry Wasson and Brian McLaughlin and situated in the heart of the beautiful Inishowen Peninsula, Co. Donegal, Moville Pottery are long established manufacturers of fine handthrown stoneware pottery. The classical and clean look of ‘The Brian McDermott Range’ was created by Brian McDermott and the skilled craftsmen at Moville Pottery. 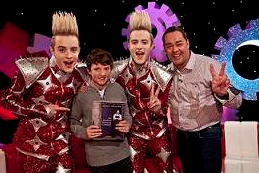 “We were delighted when Brian approached us about the collaboration. He was deeply involved in all the design aspects and it was important to him that all pieces were practical and usable for use in the everyday kitchen. Brian’s practical and knowledgeable input make this a collection perfect for the everyday cook” said Lowry Wasson, Founder and Managing Director of Moville Pottery. The robust range of pottery is stylish and practical designed specifically for everyday use and is chip-resistant and oven-proof. Available in the collection are mixing bowls, pasta dishes, dinner plates, Hors D’Oeuvres sets, oil jars, soup/cereal bowls, mugs and jugs with plans to extend the range of products. Brian has recently launched his state-of-the art Brian McDermott Cookery School where he incorporates his ‘No Salt’ philosophy into all his classes. Brian is the author of his first and very successful cookery book ‘Reunite with Food’ and he has become a regular guest chef on popular Today Show with RTÉ TV. He continues to present his own weekly cookery slot on BBC radio and is a regular contributor to many Irish press titles. ‘The Brian McDermott Range’ of Moville Pottery will be available from McElhinneys Store in Ballybofey, The Co-Op in Dunlow, other selected retail outlets across Donegal and also online at www.thenosaltchef.com with prices starting from €15.00 R.R.P. Ray Owens and Barrie Rogers, founders of Chia bia, were presented with their award as ‘Best Exporter’ by Minister of Jobs, Enterprise and Innovation Richard Bruton at the National Enterprise Awards Ceremony in Dublin Castle on Thursday, November 7th. Waterford-based health food company Chia bia, Ireland’s largest supplier of chia seeds, has become the first business in Waterford to take home a top accolade at the prestigious National Enterprise Awards 2013 in 21 years. The company which employs a team of six from its Tramore, Co. Waterford base, was recognised for its achievements within the Irish Export Market. From launching in 100 health stores in February 2010, Chia bia now supplies to almost 1,250 outlets across the UK and Ireland. The company recently signed a new distribution deal which will see its range of products listed in Tesco’s 142 stores across Ireland. In the UK, Chia bia is available from Selfridges, Holland & Barrett and is listed with all major health distributors and an increasing number of independent health food stores. Chia bia supplies directly to customers in the Middle East and also to Sobeys – a major distributor throughout Canada. “The UK market now accounts for almost half our business and 15 per cent of our sales are from the Middle East and Eastern European markets. We are rapidly progressing our market share in Canada and have expansion plans for Northern European markets also.” said Ray Owens, co-founder of Chia bia with Barrie Rogers. The Leadbetter ladies from Jerpoint Glass in Co Kilkenny will host a novel event to raise funds for the South East Simon Community through two special Scarf Swop Coffee Mornings this month. The fundraising Scarf Sales will be held on Friday October 25th and Saturday October 26th at Jerpoint Glass studios in Stoneyford, Co Kilkenny. The event will run from 10am until 1pm each day and complimentary tea, coffee and treats will be offered. Along with the two-day Scarf Swop, the Leadbetters will also present glass-blowing demonstrations on both days and families are welcome to bring children who will enjoy free bandana painting on Saturday, October 26th. Scarf-loving men and women are asked to come along and bring an unwanted scarf that they would like to donate for the sale in aid of the South East Simon Community, which provides vital services tothose at risk of homelessness. The Scarf Swap will raise much-needed funds for the charity that offers vital drop-in facilities, residential opportunities and advice throughout the South East region. Kathleen Leadbetter is a lover of scarves and the Scarf Swap idea was born when she began thinking about how Jerpoint Glass could help the charity in a practical, but fun way. “Everybody has a scarf that they don’t want anymore. Scarves are an understated and versatile accessory that both men and women wear. We hope to have a variety of donated scarves for men and women on sale over the fundraising weekend, that will help raise funds for the South East Simon Community,” said Kathleen. Each year South East Simon needs to raise €600,000 to continue to deliver vital services in the South East. In 2012, the South East Simon Community supported over 250 adults and almost 170 children with housing, tenancy sustainment supports, resettlement supports and after-care projects. They also offer life skills training and well-being programmes aimed at providing information on personal development and teaching clients to become more independent. Joe Simpson of South East Simon said he was delighted that the Leadbetters were hosting the event and hoped that it would be well-supported. Scarves can be donated at drop off points in Supervalu in Thomastown and Loughboy Co. Kilkenny, St Canices’ Credit Union and also in the Centra Store in Bennettsbridge. The Scarf Swap coffee mornings will be held at Jerpoint Glass Studio, Stoneyford from 10 am until 1pm on Friday 25th and Saturday 26th October with complimentary tea, coffee and treats for all, plus bandana painting for children on Saturday. 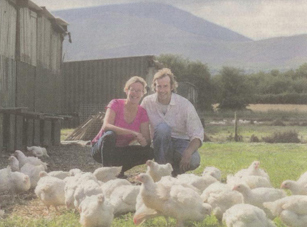 Free range artisan poultry farmers, Bertram and Celine Salter, are celebrating 10 successful years of their business, CarlowFreeRange (formerly Carlow Foods). In just six years the business has experienced an incredible 400 per cent growth in turnover and has recently expanded. With a core team of ten, CarlowFreeRange employs up to 20 people at busier times, particularly coming up to Christmas. From his family farm in Fenagh, Co. Carlow,Bertram started out supplying free range chickens to local farmers markets, helped by his mother, Olive. From there he spotted a niche in the market for free range poultry and decided to focus on the business, becoming short-listed for a Young Entrepreneur of the Year Award at the age of 30. His wife Celine joined the business in 2004 looking after the operational side. The business has recently expanded adding new packaging facilities and increasing its free range turkey supply. “Such is demand, we recently expanded our facilities to process additional free range turkeys. We believe that by supporting the welfare of our birds and rearing them free range, we give the consumer the best possible, naturally reared free range chicken and turkey. It is a real milestone both for our family and our business to be celebrating ten successful years and we look forward to a great future” said Bertram Salter, founder of CarlowFreeRange. Unusually for its sector, CarlowFreeRange owns and manages the entire supply chain process from rearing their birds through to packaging and delivery. This means removing food miles and allowing consumers enjoy a healthy, wholesome and natural product that is fully traceable to the farm. Working to the standards set by the Department of Agriculture, CarlowFreeRange practice hand feeding using an exclusive formula created to maximise taste. While many poultry suppliers stock 20,000 to 40,000 birds per house, Carlow Free Range cap this at a maximum of 800 in each of their purpose built houses, allowing arelaxed stress free environment with lots of fresh air. In keeping with their philosophy of providing the highest quality, free range chicken and turkey at an affordable price, CarlowFreeRange stocks less than four per cent than conventional poultry farms, giving birds a much better quality of life. CarlowFreeRange’s corn fed chicken and turkey receives rave reviews and Bertram and Celine are keen for consumers to go back to older, traditional cooking methods of chicken, using everything from the meat to the bones for chicken stock. The company have recently re-branded from Carlow Foods to CarlowFreeRange with new packaging, still maintaining its popular vibrant yellow colour, as well as a new web-site, www.carlowfreerange.ie, giving lots of delicious recipes and cooking tips. Both Bertram and Celine are actively involved in the day to day running and management of CarlowFreeRange and live by the farm with their three children, Isobel, Jamie and Luci. This way, they ensure that their commitment to quality standards translates into a premium quality, free range poultry. Ireland’s leading ladies will come together to host a dazzling fundraising event to help support Irish charity ‘To Russia with Love’. Broadcaster Mary Kennedy will act as MC for the ‘Inspiring Women’s Lunch’ taking place on Friday, September 13th in The Marker Hotel, Dublin. Norah Casey, CEO of Harmonia, Sunday Independent Editor Ann Harris, Avril Conroy, a leading Irish business woman in Moscow, Clinical psychotherapist Joanna Fortune and Dr Rhona Mahony, Master of National Maternity Hospital Holles Street are just some of the inspirational speakers confirmed for the glamorous lunch line up. The intimate afternoon will see a variety of women from dynamic backgrounds share their success, challenges and passions on a range of topics from divorce to career challenges. Guests will enjoy a special lunch menu created by The Marker’s Executive Head Chef with live music entertainment before hand. “We are delighted that so many of Ireland’s most inspirational and powerful women have agreed to be a part of our ‘Inspiring Women’s Lunch’. We have hundreds of children under our wings and each donation is precious this year. We are so grateful to all those that will attend on the day and many thanks to all those that are helping support the work of ‘To Russia With Love’” said founder of ‘To Russia With Love’, Debbie Deegan. Debbie Deegan founded ‘To Russia With Love’ in 1998 and the charity has since transformed the lives of thousands of abandoned and orphaned Russian children. The charity now offers its programmes of care in many orphanages across Russia teaching life skills for a brighter future and providing children with improved living conditions, healthcare and education. Tickets for the inspiring women’s lunch are available from www.torussiawithlove.ie and all proceeds raised will go directly to supporting the charities tireless campaign to change the lives of orphaned and abandoned children in Russia. Irish charity ‘To Russia With Love’ has teamed up with Oscar nominated studio Brown Bag Films to create a short animated film helping to raise awareness of the charity’s work with abandoned and orphaned children in Russia. Written and directed by twice IFTA nominated Damien O’Connor, ‘ANYA’ is a four minute film that illustrates 20 years in the life of an abandoned child as she grows up in a Russian orphanage. “To Russia With Love initially approached me to do a short online advert, but after reading about the children in their care, we decided a short film would work much better. Travelling to Russia to meet the children was a profound experience and hearing their stories was heart breaking. ‘To Russia With Love’ break the cycle of abandonment and give hope to the children in their care. The message of hope is something we tried strongly to convey through the film.” said Damien O’Connor, Writer and Director of ‘ANYA’. “This is very exciting for ‘To Russia With Love’. Brown Bag Films are fantastic to work with and this will be an enormous help to our fundraising efforts. We are so grateful that Brown Bag donated their time and expertise to our charity.” said Debbie Deegan, Founder of ‘To Russia With Love’. Debbie Deegan founded ‘To Russia With Love’ in 1998 which has transformed the lives of thousands of abandoned and orphaned Russian children. The charity now offer their programmes of care in many orphanages across Russia teaching life skills for a brighter future and providing children with improved living conditions, healthcare and education. Paul Broderick, General Manager; Phil Lanigan, Meetings & Events Manager and John Ryan, Owner Pembroke Hotel, Kilkenny at the National Hospitality Awards after winning the ‘Best Value Hotel’ Award.